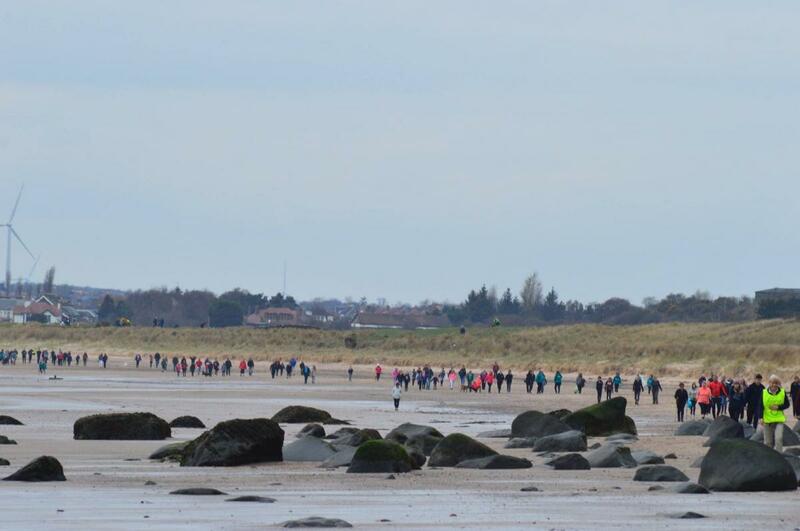 Over 200 walkers took part in our 5 mile sponsored beach walk. 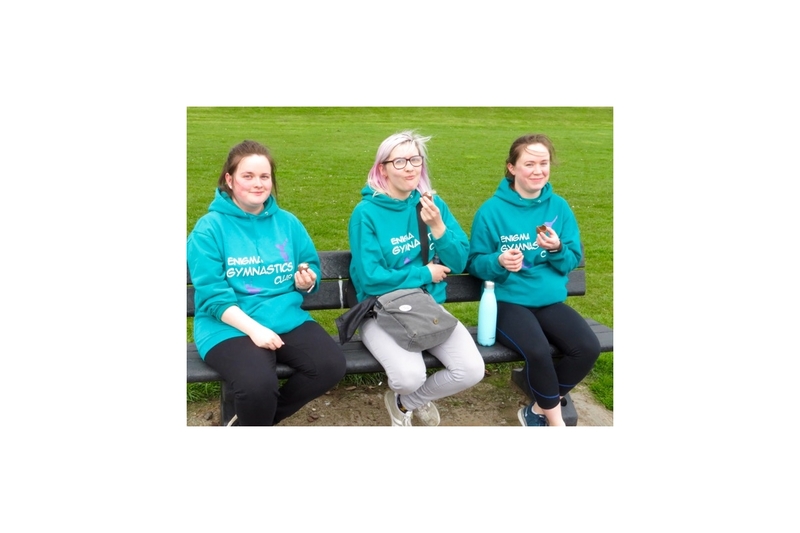 The total amount raised is going up day by day as organisations/groups hand in their sponsor money. 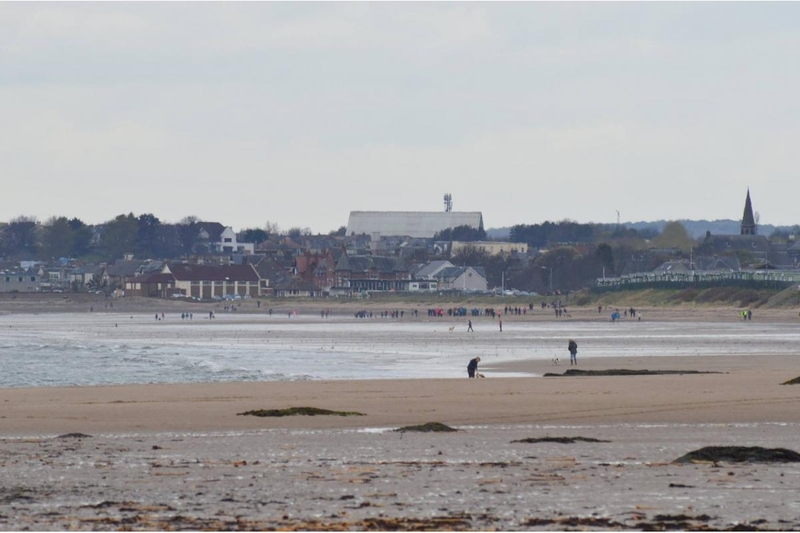 we will update you with a total the minute we have it. 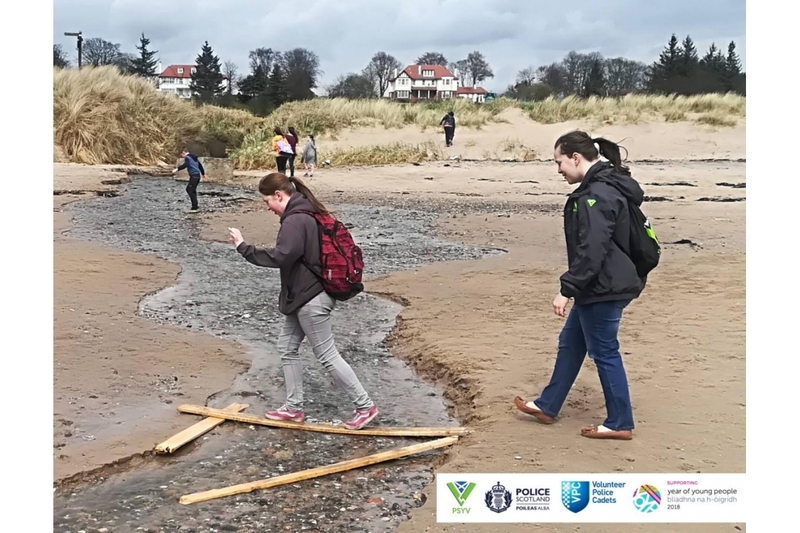 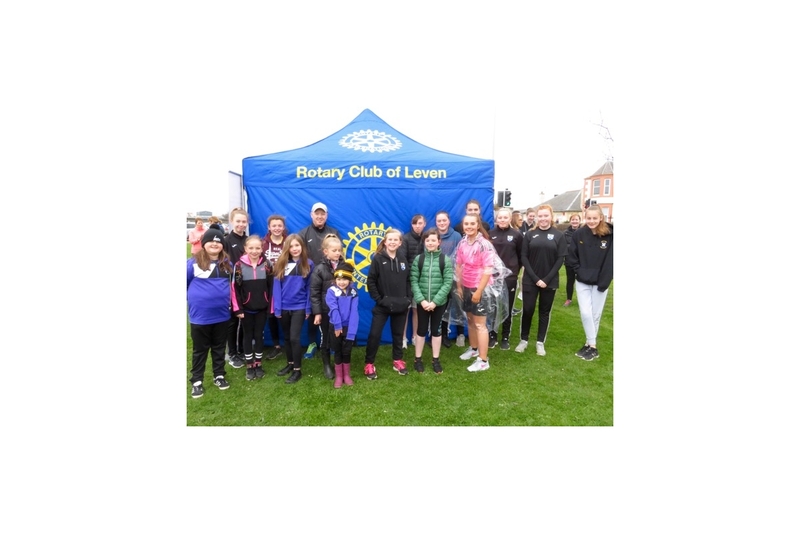 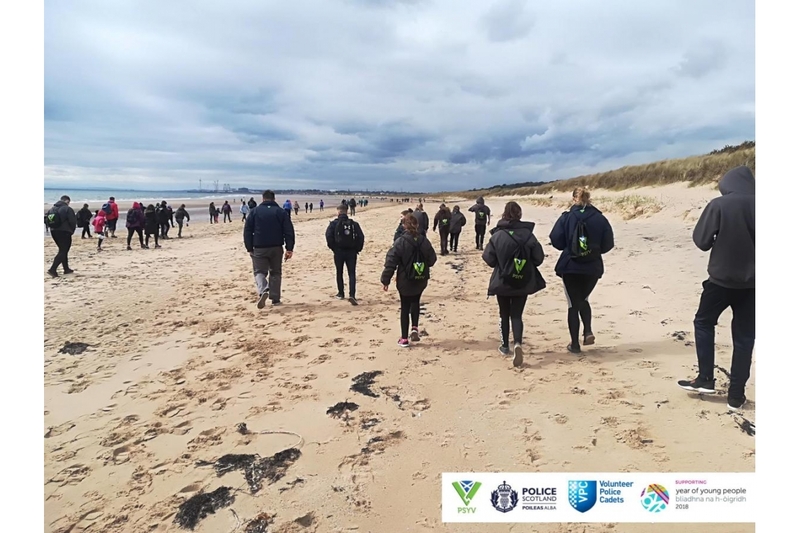 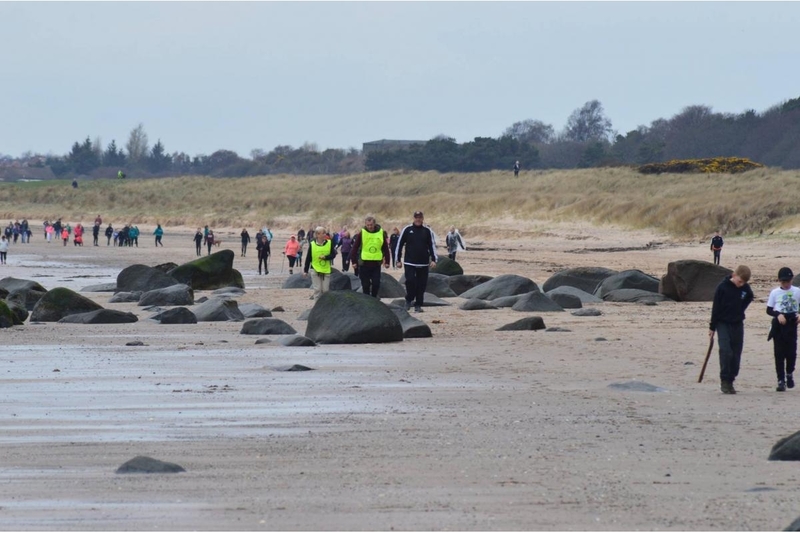 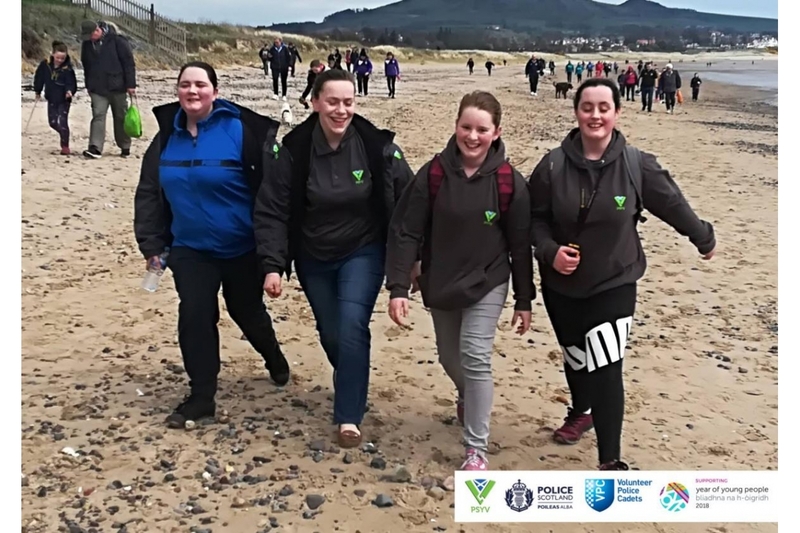 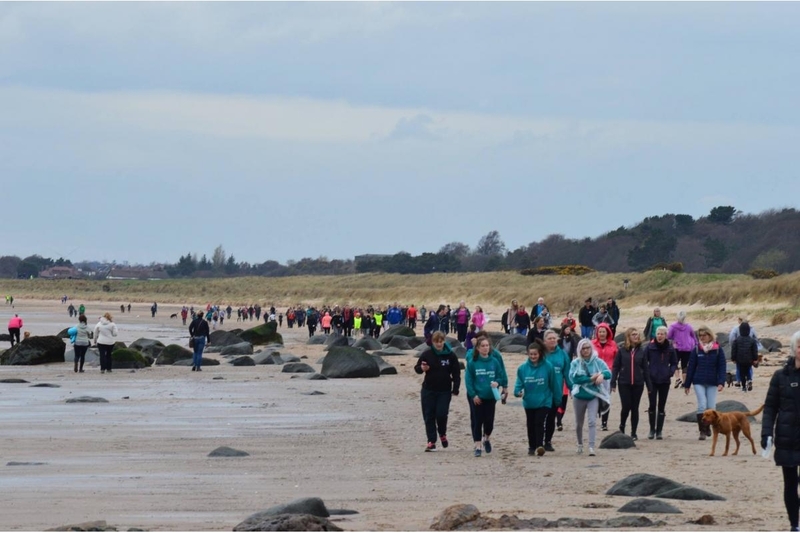 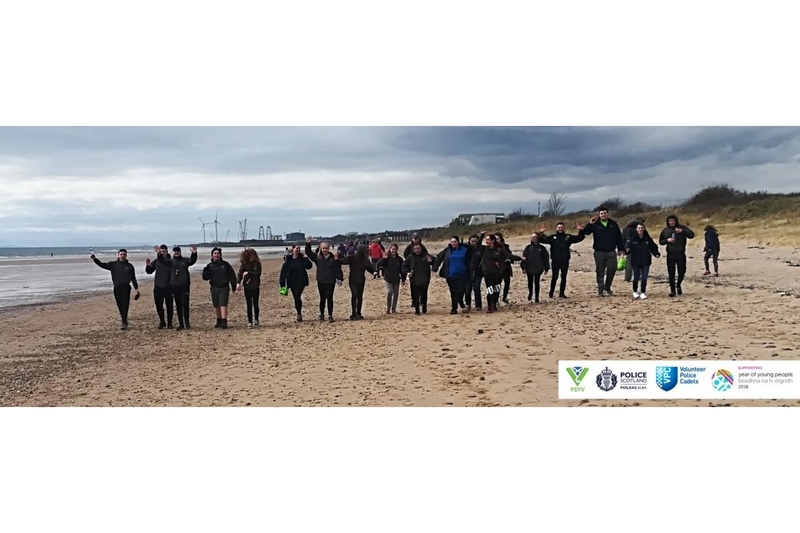 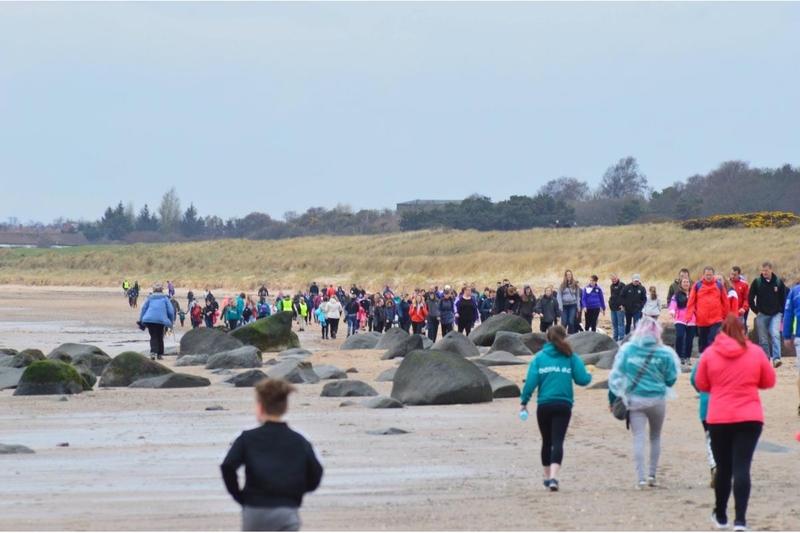 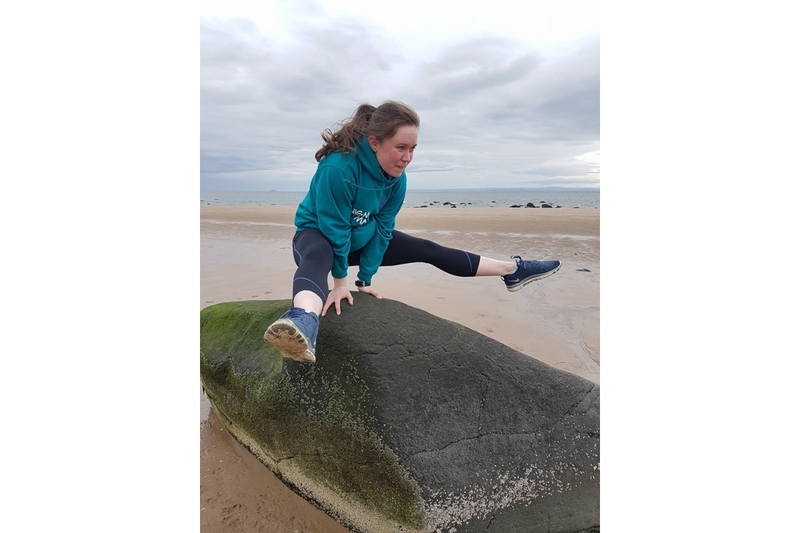 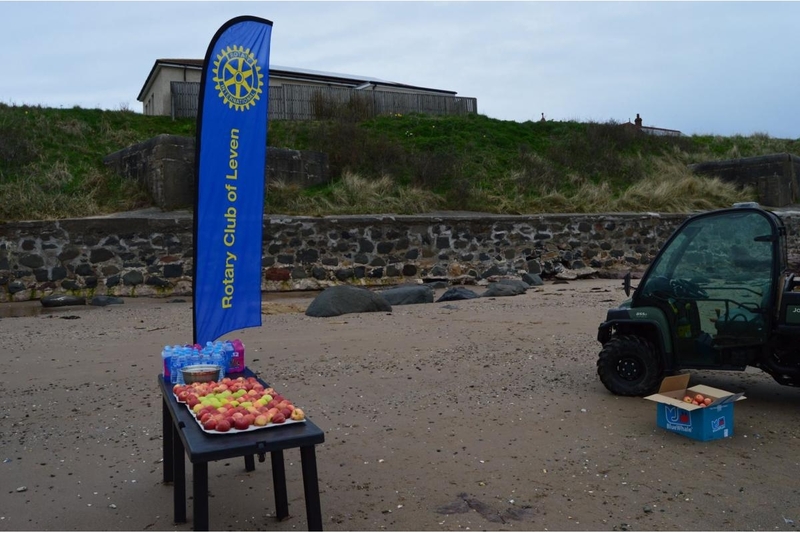 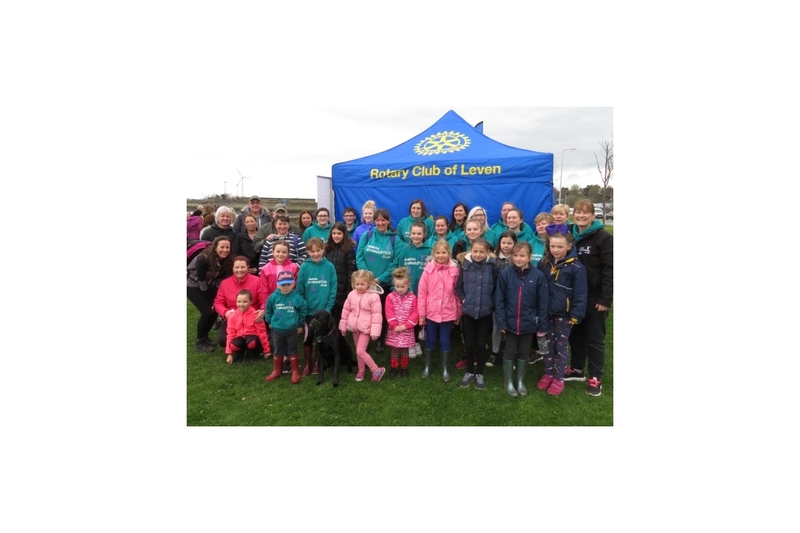 Our sponsored walk was held on Sunday 22nd April from the car park on Leven Promenade along the beach and back which was a total of 5 miles was a great sucess. 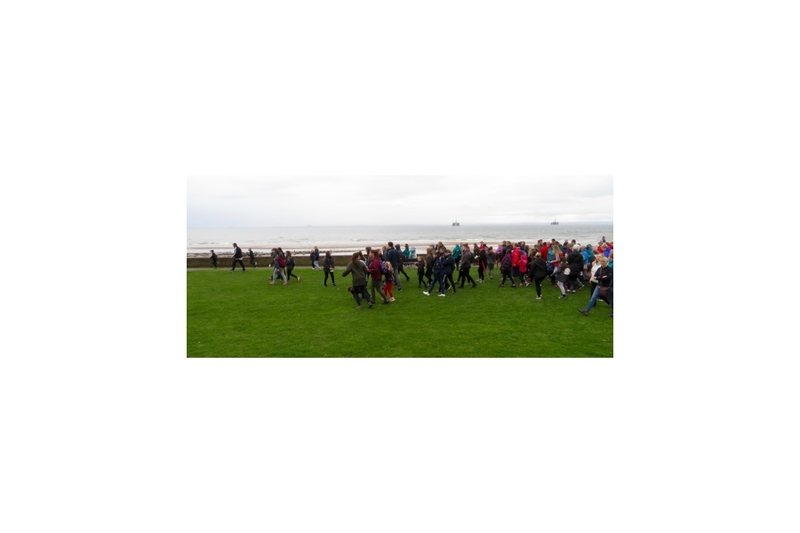 We were delighted to see so many walkers turn out on what can only be described as a "dreich" day. 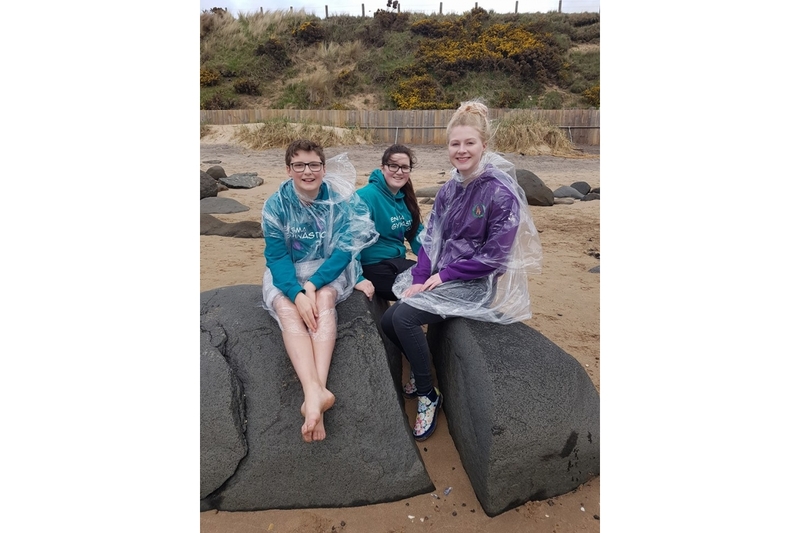 Each of our walkers were given with a poncho at registration (an essential item for our lovely Scottish weather). 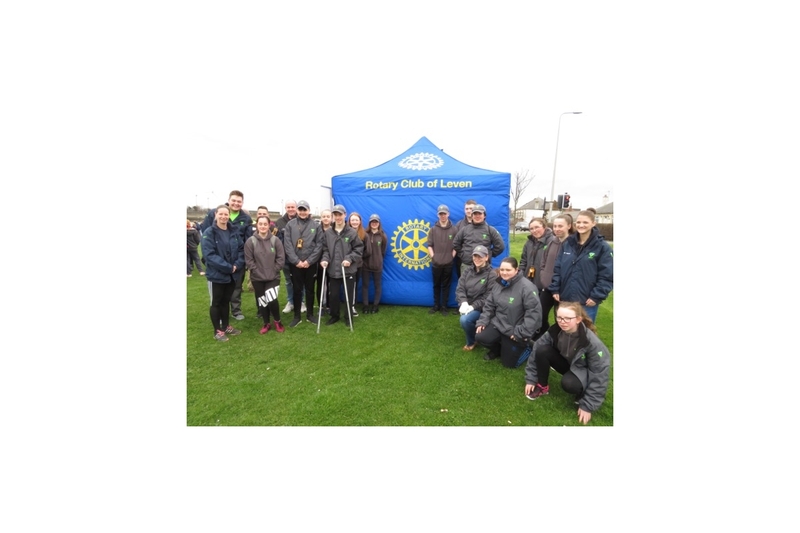 After a few words from President Julie the walkers set off at 11.30am. 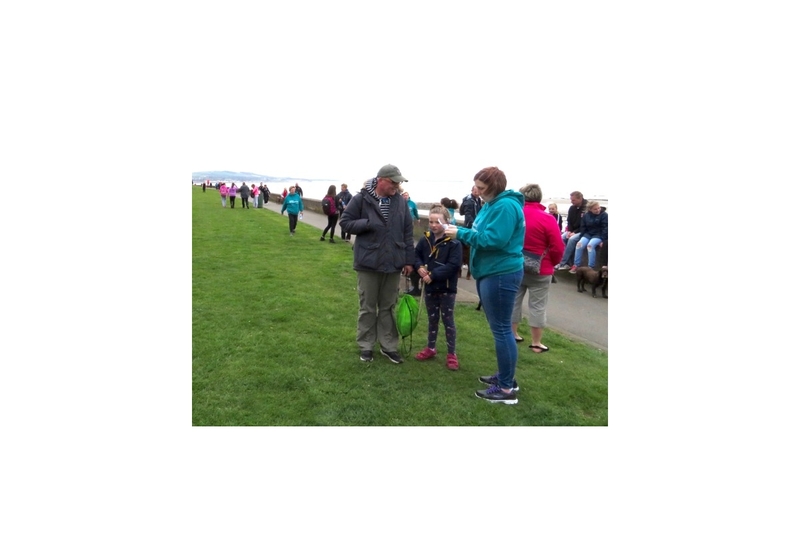 Some of the younger walkers were very enthusatic about getting to the half way point, where bottles of water and an apples were given out. 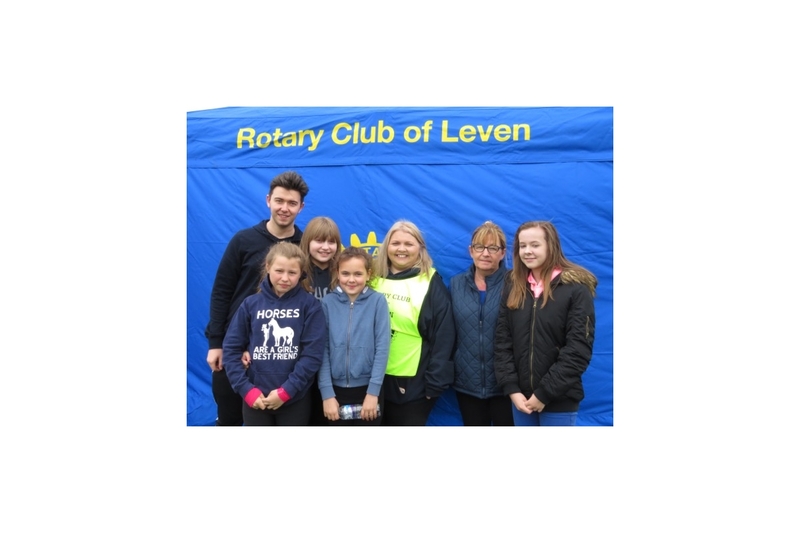 After collecting the half way reward it was back the same route for the final reward a creme egg at the finish line. 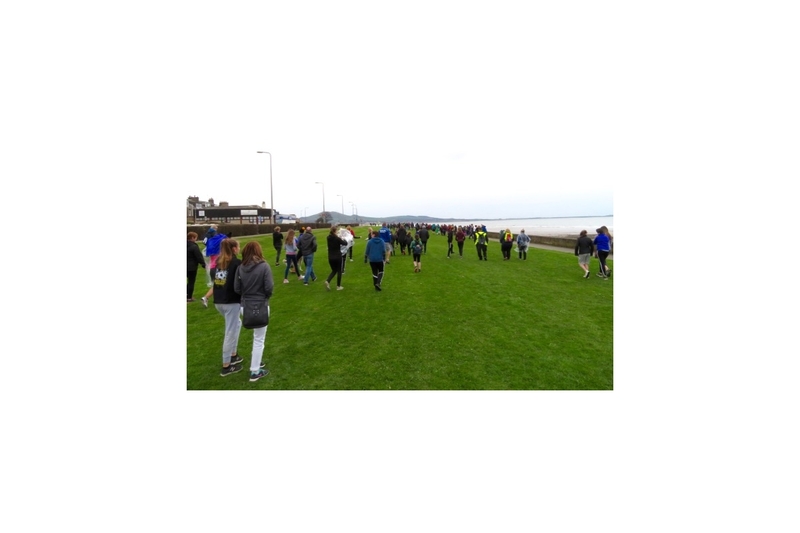 It was a breautful walk and each person was able to walk at their own pace, there was no time limit or prize for being the fastest. 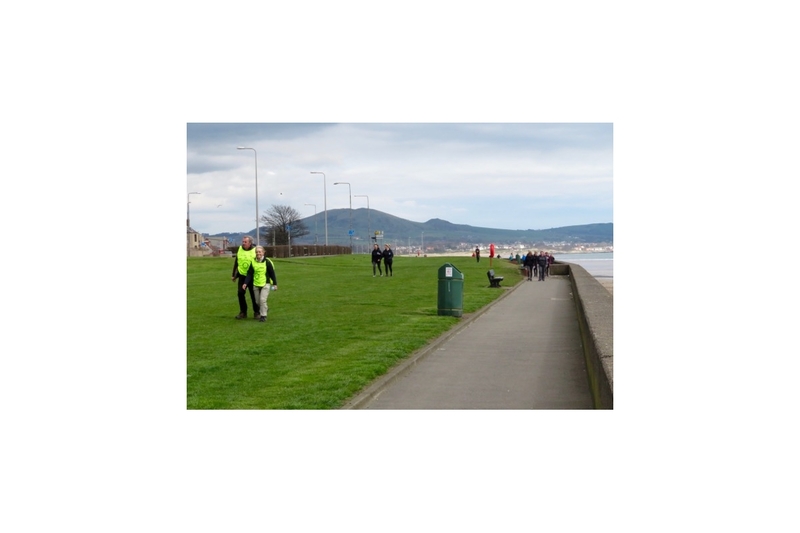 We had walkers from 5 years to 80 years old and they all enjoyed it. 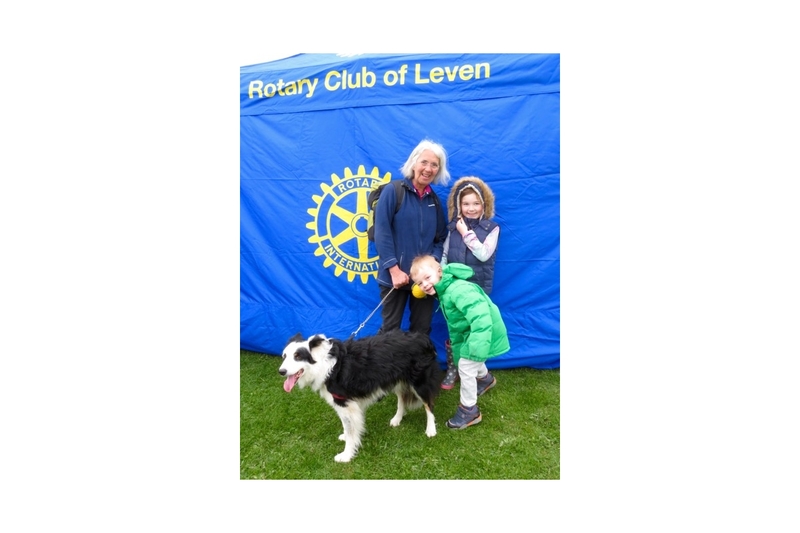 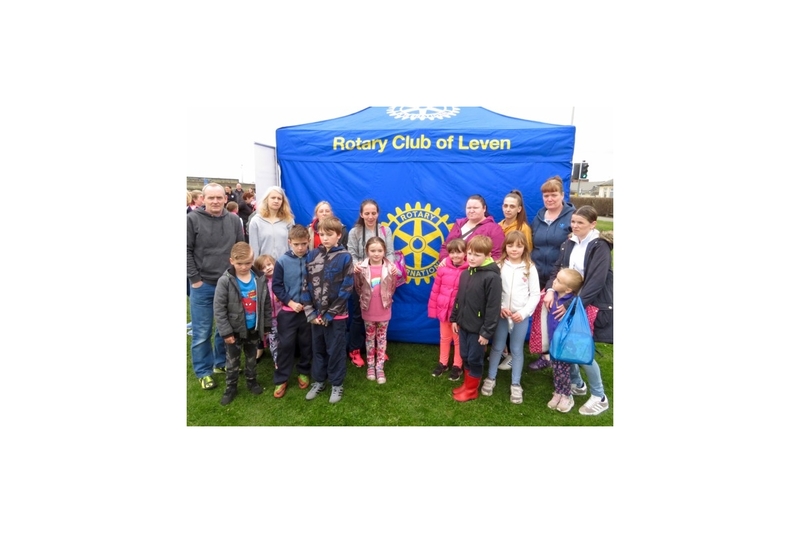 We have been blown away with the sponsor money that is coming in each day and we know that not only have we raised money for the wonderful projects that we do at Rotary Club of Leven but we know that 75% of that money is going to other local charities, clubs and organisations helping them too. 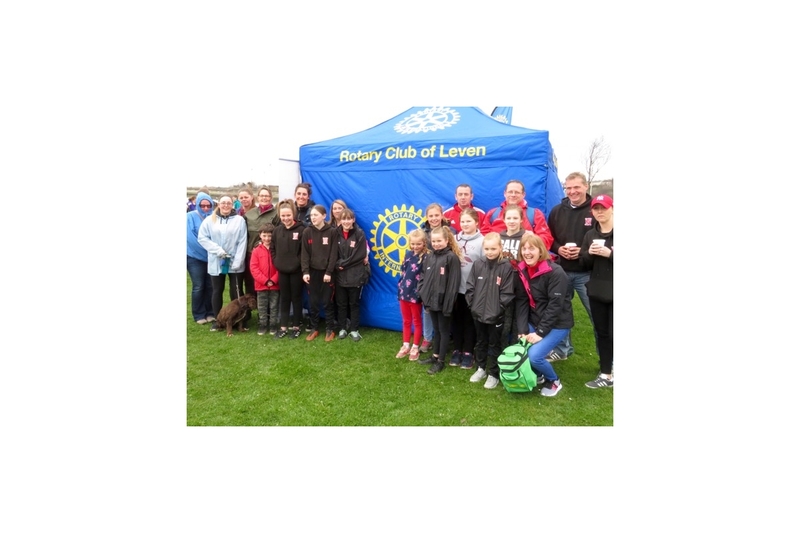 We had a full first aid team on hand but we are pleased to report that there services were not required at all. 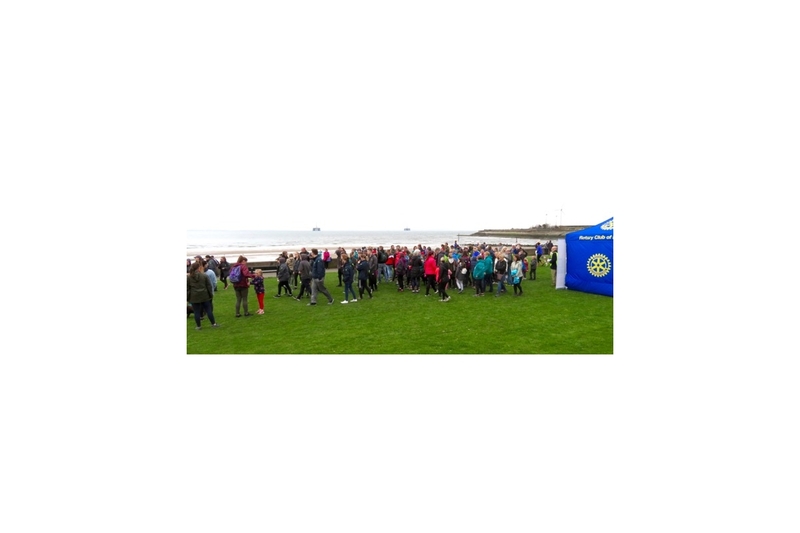 Thank you to all the organisaions/groups/individuals that took part it was a pleasure to see such a great turn out and we look forward to doing it all again next year. 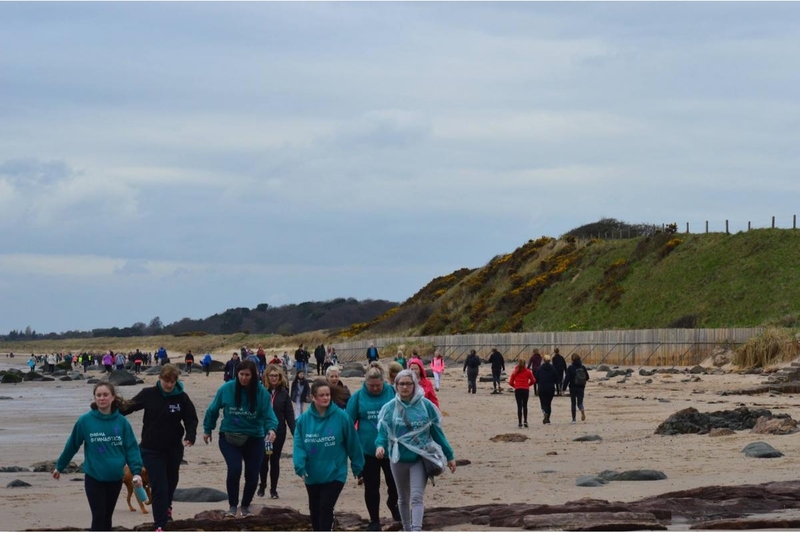 If you would like to register your organisation/group to take part in the Sponsored Beach Walk 2019 please email scott.dryburgh@dryburghassociates.co.uk.